I’ve been doing a lot of ‘taking it easy’ since the marathon. I’ve been sleeping in, staying up late, eating cupcakes and drinking whatever I want to drink without worrying about how much it will hydrate me. 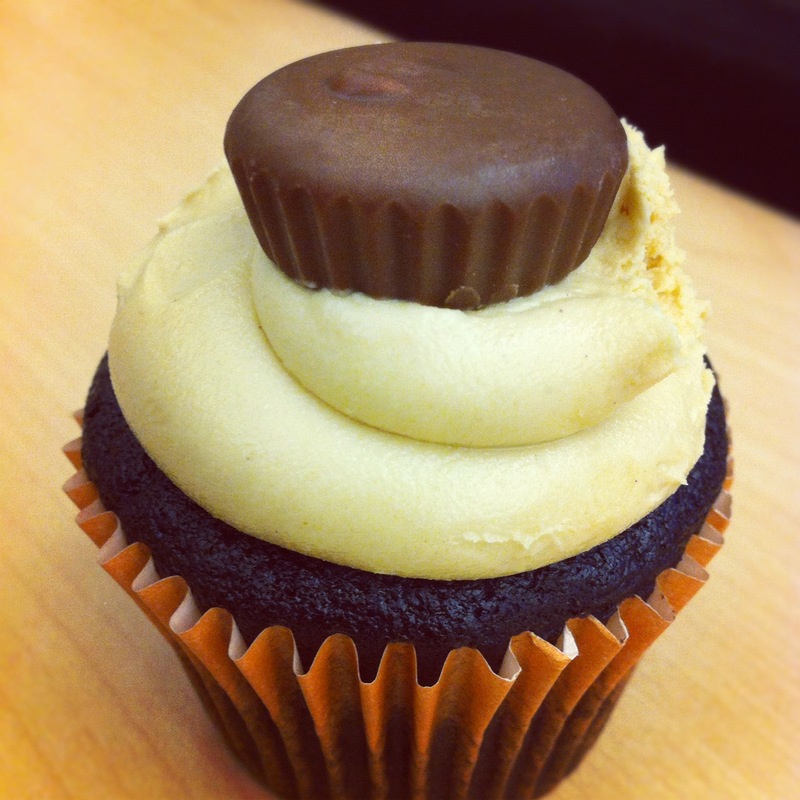 Chocolate Peanut Butter Cupcake from Sweet Traditions in Winter Park. OMG. But nonetheless, I’m getting restless. And there’s that issue where I recently split my pants. I took this as a direct sign from God that my ‘taking it easy’ time is over, and I need to start sweating stat. But, of course, I need to ease in, and not push my IT band too much, or I’ll digress in my progress. By progress, I mean that I was able to go both up and down the stairs like a normal person at work today. Except for that little hop skip at the end where I decided that bending my leg was no fun. I’m going to miss my pirate peg leg. Yesterday around noon I jumped on my stationary cycle and rode for 40 minutes. I chose to do a ‘random’ workout, which changes the level of intensity on me every couple of minutes. I almost punched the bike in the face a couple of times, coincidently when it went up to level 9. Say “hello” to my little friend. That little buddy is my Nook. I finally finished up Bringing Up Bebe (Good: I learned a lot, but sometimes that doesn’t equate to being a page turner), and moved on to Gregor the Overlander (now this is a page turner). Around this time the rain started to fall hard around me and I couldn’t help but think I would rather be curled up on the couch reading this book. And then a level 9 interval kicked in, and I cursed. I like the Nook because it rests easily on my reading ledge and even though it has a touch screen, I can also opt to press the page over buttons to the side of the screen. This comes in handy when you’re as sweaty as I was yesterday. I headed into the kitchen, had a light lunch, waited for it to digest, then headed back out to the Florida room for workout #2: yoga. I picked this 73-minute class because it focused on the hamstrings. I think it worked because I was sore this morning! This morning I woke up early and did a 30-minute random interval ride. Things were a bit rougher because I was a little (ahem) saddle sore. I had to keep readjusting to redistribute the pain. After I jumped off the bike I could tell that my IT band was a little agitated. So I did a quick core workout then spent about 20 minutes stretching every part of my legs. It felt good to sweat. With my training schedule I didn’t really plan many workouts because I am always so wiped from all of the running. This will be a nice change to have to plan ahead. Let’s see how well I do at sticking to the plan! Do you plan your workouts out in advance? How well do you stick to the plan? Those are my all time favorite cupcakes! The PB cup on top just makes it! And there was gooey PB in the middle too! Oh man… I want one now. Hope the saddle soreness eases up soon…………..